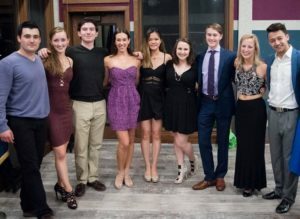 You’ve reached the official website of the Ballroom Dance Team at the University of Michigan. If you’re new around here, we’d love for you to join our team or subscribe to our email discussion list! Check out our news page to check up on team news and events. Also, don’t forget to like us on Facebook, and join our Facebook group to keep up to date on all the latest team happenings, social events, and informal gatherings among team members. 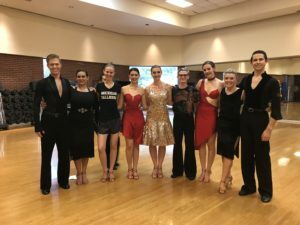 Our Mission Statement: We are a competitive, collegiate ballroom dance team that seeks to share our love of dance by fostering a fun and supportive environment while striving for continuous improvement. Find out when practices, lessons, events, and competitions are being held. It starts with YOU! Every year, hundreds of students who want learn how to ballroom dance join our team. Most people who join have no dancing experience. The team, along with our professional coaches, will teach you to dance from the very first step. View pictures of the team!